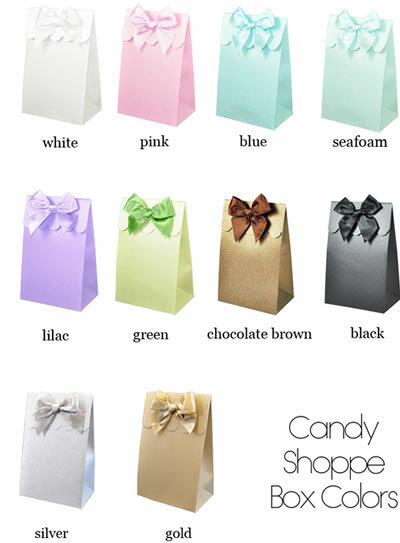 Choose from seven different shimmery box colors as well as a variety of label patterns ranging from colorful dots to sleek black and white stripes. Your selections can match the look and feel of the event and make these favors truly unique. Each box also comes with a satin bow coinciding with the color of the box. Stickers on the box flaps hold them closed once they're filled. Get a few different colors to mix and match bow and box colors for a unique contrasting look. 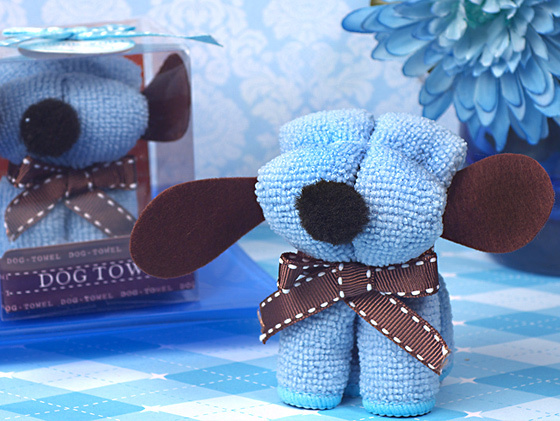 Due to personalization the minimum order is 2 (sets of 12).